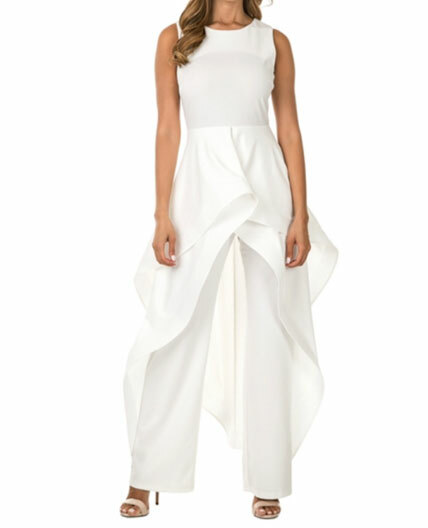 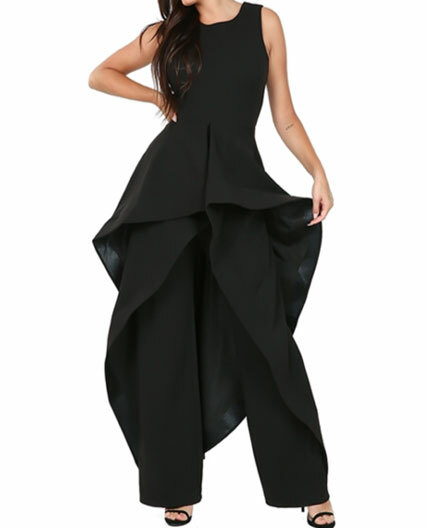 Elegant jumpsuit with a dramatic skirt overlay. 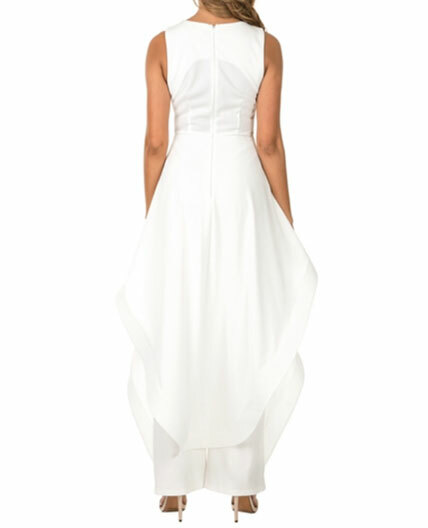 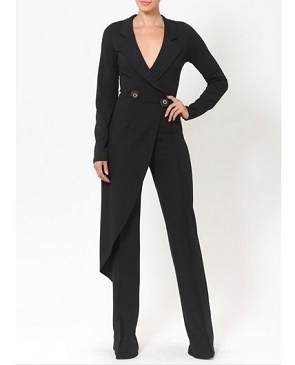 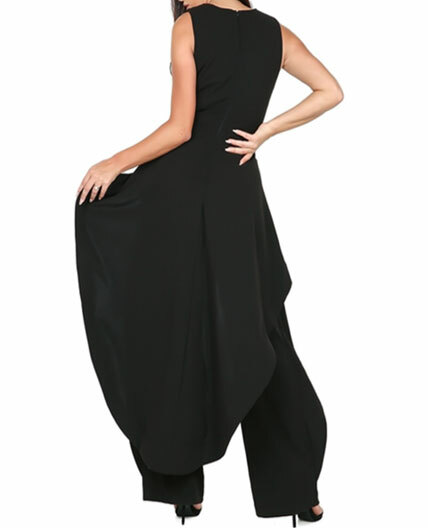 The jumpsuit comes in a poly stretch fabric and has a back zipper. 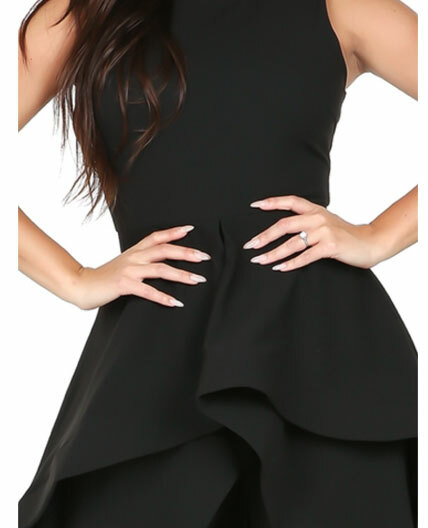 Comes in 2 colors.